New Orleans if famous for many things, the wild night-life, the music, the food, but I appreciate its architecture. As a photographer and someone who loves city and building design, there’s a lot to appreciate there. 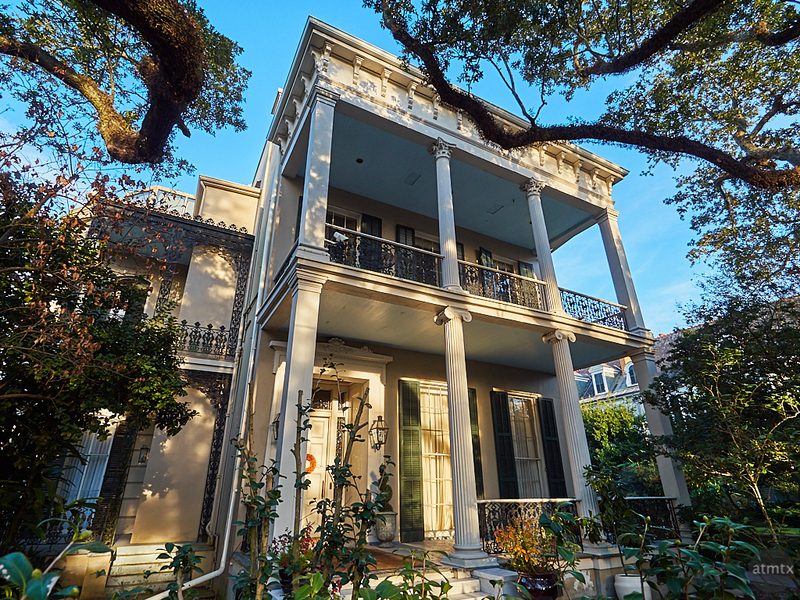 The French Quarter is famous for its old buildings, but a short streetcar ride south-west from downtown yields the lovely Garden District. Taking the slow, inefficient and glorious St. Charles Streetcar is the way to go. We got off at Washington and St. Charles streets and walked towards Magazine street. That entire neighborhood is chock full of beautiful Victorian houses. Many were immaculately kept and with a variety that would keep the eyes constantly occupied. As I’ve grown older, I’ve come to appreciate the old designs even more. Efficiency and low-cost have their benefits but the majority of the houses after World War II are merely boxes for storing one’s goods and themselves while they are not at work. Nothing like the grandeur of these Victorians, in this historic district. They are built for slow, deliberate living. Hi Andy……enjoy your blog and appreciate the technical aspects of your work. We met at the NAPS Photo Club Meeting…I am a friend of Veachel Dixon. I noticed you made a change recently to the way your photos open in the blog…you changed them from optimized to progressive. I can tell by the way the photos load from top to bottom. I work with optimizing photos for the web and am just curious if you are willing to share more info on why you made the change….maybe a good topic for a blog? Thank you for visiting. I didn’t change anything on my posts, however, perhaps it’s WordPress.com that changed something recently. That’s where I host this blog. I did notice a new feature called Google AMP (Accelerated Mobile Pages) that WordPress now implements. Perhaps that has something to do with it.